Enjoy a day tour to one of the seven wonders of the natural world - The Grand Canyon! Sit back and relax as your coach driver takes you on a narrated journey from Las Vegas to the South Rim of the Grand Canyon. Lunch is included at an upscale food court. 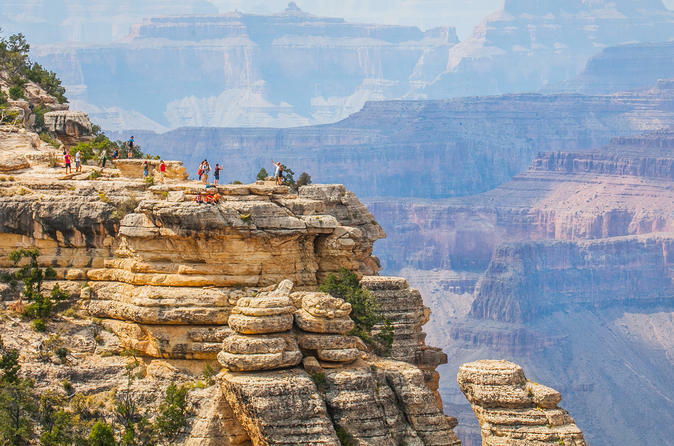 Depart Las Vegas on a luxury bus for a day at the Grand Canyon’s South Rim. Enjoy a breathtaking drive through Southern Nevada and Arizona, while en-route to the Grand Canyon South Rim. Special Offer - Book with us and save 60% compared to what you'll pay on another travel site. - Book Now!